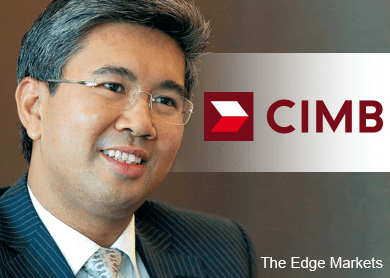 KUALA LUMPUR (Feb 26): CIMB Group announced it had received approval from Bank Negara Malaysia to appoint Tengku Dato’ Zafrul Aziz as its group chief executive and executive director. This appointment is effective Feb 27, 2015. "I would like to congratulate Tengku Zafrul on his appointment. His performance as acting Group CEO, since 1st September has only added to the confidence of the board in his ability to lead the Group. He has already commenced execution of our T18 plan, starting with a refreshed leadership team and organisation structure, enhancing processes and reducing operating costs in wholesale banking," said Datuk’ Sri Nazir Razak, chairman of CIMB Group. "I look forward to continuing to work closely with him for the long term,” concluded Nazir. Zafrul joined CIMB Group on Jan 2, 2014, and was made acting group chief executive on Sept 1, 2014.